IT staff is a wonderful resource to have in any organization, but it's hard to get just the right folks for the job. In Office Networks allows you to affordably have on hand and on call 24hrs, 7 days a week, an endless quiver of skilled IT professionals. 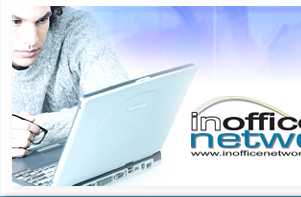 In Office Networks was originally organized by a coalition of IT professionals in order to provide a one-stop-shop IT solution for their customers. Not only can In Office Networks provide IT services, we are also discount retailers of some of the worlds top providers such as Dell, Microsoft, and HP, to name a few. This feature of In Office Networks has proven to be an invaluable resource for its clients. In Office Networks not only employs many of the industry's top professionals, but is managed and organized by IT professionals as well. This way, whomever you may speak to from In Office Networks will be an IT expert, able to understand just what your organization's needs may be. 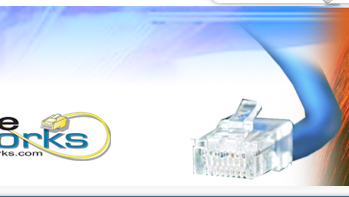 From the first time you contact In Office Networks, you are given a dedicated technician as a point of contact. This representative will be selected based on your organization's requirements as to ensure the most effective solution for your organization. Your representative will be able to help guide you to the correct solution and provide you with all the help you'll ever need. In Office Networks technicians are comprised of industry experts skilled in technologies such as Microsoft, Veritas, Dell, Cisco, Novell, Foundry, Corel, Symantec, SMC, Linux, FreeBSD, Unix, and many others. Whatever your organization's IT needs may be, In Office Networks can provide a technician suitable for the job in a timely fashion. Call today to arrange a meeting with one of our technicians so that we may discuss exactly what your needs are, and In Office Networks can design a solution suited for your business. As businesses grow, they find that maintaining multiple offices becomes an integral part of their business. In Office Networks specializes in integrations such as these, using a variety of technologies such as VPN, DS3/T1, LAN/WAN, Fiber Optics, etc.